Bring a camera to capture all of the amazing sights! Visitors may bring backpacks and soft-sided coolers into the visitor complex. Food and beverages packed in small, soft-sided coolers are permitted. Glass bottles or containers are not permitted. Beer is for sale at select locations and no outside alcoholic beverages are permitted. For security, all bags are subject to search. If your scheduled your date becomes a rocket launch please contact us, as regular packages may not be permitted (launch dependent). If your scheduled your date becomes a rocket launch please contact us, as regular packages may not be permitted (launch dependent). Great! Kennedy Space Center is amazing. 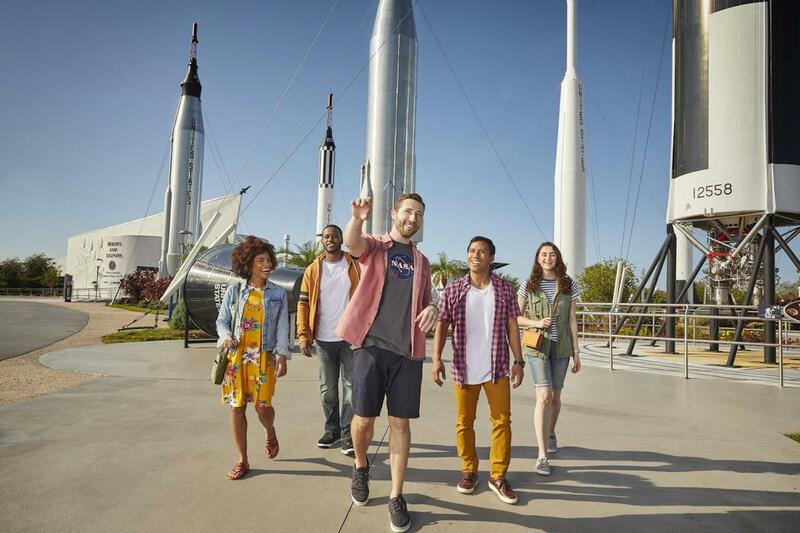 Be a part of history in the making as you explore the ins and outs of Kennedy Space Center on this out-of-this-world day tour. 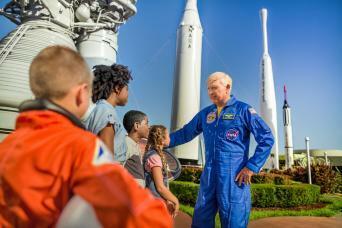 You’ll have access to restricted areas, walk under the massive Saturn V rocket, and even meet and greet an astronaut from the Space Program! By riding the Gray Line Orlando bus, you will receive an exclusive welcome from an astronaut upon arrival at Kennedy Space Center. Only Gray Line guests have this meet and greet option, and it is an excellent added benefit. Should the meet and greet not be available, then there would be no refund as there are no surcharges for this great enhancement to your tour day. 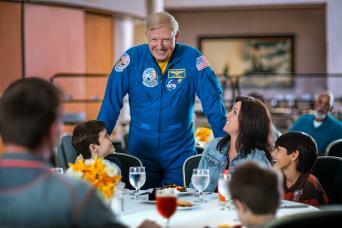 Currently from summer 2018 the meet and greet usually happens on Wednesday & Saturday mornings due to the astronaut schuedles. On all days the astronaut is not available we will substitute with a walk through tour of the Space Shuttle Atlantis facility. 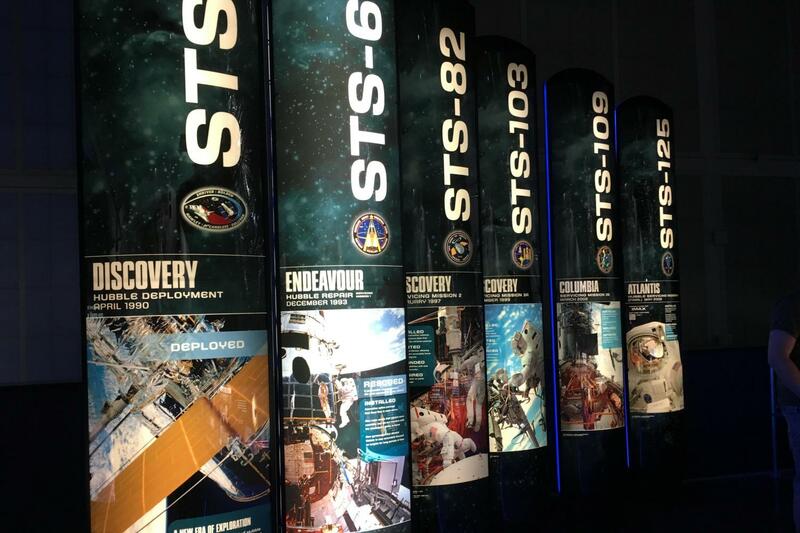 Give yourself enough time to explore Space Shuttle Atlantis! The world’s most comprehensive attraction devoted to the space shuttle, Kennedy Space Center Visitor Complex’s Space Shuttle Atlantis brings visitors nose-to-nose with the priceless Atlantis spacecraft as only astronauts have seen it before – with payload bay doors open as if it were floating in space. More than 60 interactive, touch-screen experiences and high-tech simulators invite guests to “be the astronaut,” bringing to life the people, passion and patriotism behind NASA’s 30-year Space Shuttle Program as well as the complexity of the engineering marvel that launched the Hubble Space Telescope and built the International Space Station (ISS). Guests can conduct a virtual EVA or extravehicular activity; practice docking to the ISS; extract cargo from the payload bay; create sonic booms and glide to a landing on the Re-entry Slide; experience the sensation of floating in space; explore a high-fidelity replica of the ISS; virtually mate Atlantis to the external tank; kick up a virtual chemical reaction to launch the shuttle; get an “X-ray view” of Atlantis’ interior; experience an orbital sunrise; strap in to the sights, sounds and sensations of a shuttle launch; take the helm at the shuttle cockpit, and much more. 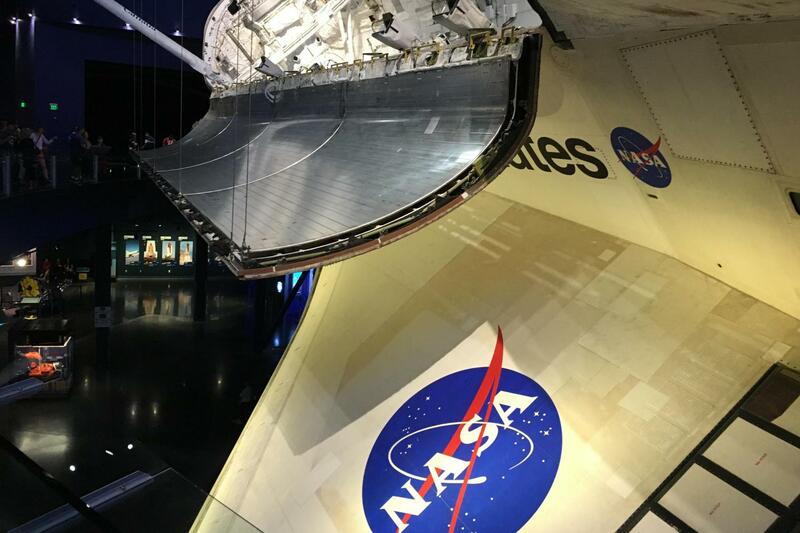 The Kennedy Space Center Tour is a can’t-miss chance to feel like a real astronaut! 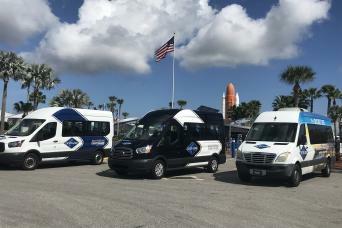 With the Kennedy Space Center Express, you will save time in the morning, by bypassing all the pickups and going straight to our final meeting point at the ICON 306 plaza. 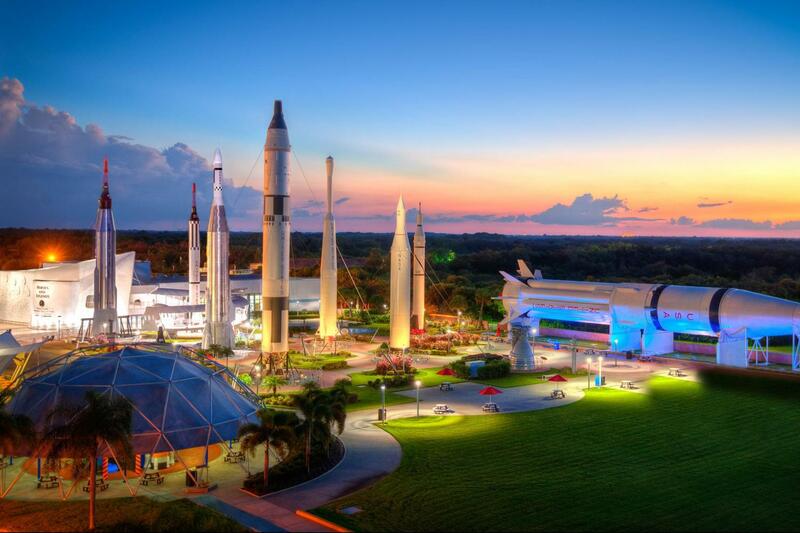 Be sure to ride the Gray Line transportation to Kennedy Space Center - this tour is truly 'Out of This World'!